I got this as a present from a friend who came from South Korea and I'm super thankful and surprised when she gave me this! 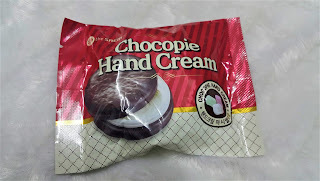 Package wise, it really looks like the normal chocopie (food) that you buy at a Korean mart. 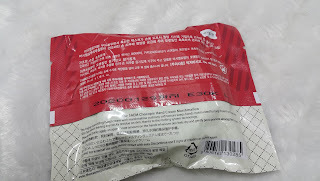 Description of the product were mostly written in Korean and has a short English, Mandarin and Japanese translation. The highly moisturizing hand cream with marshmallow cushiony soft texture keeps hands moisturized for long hours as it melts into the skin fast without leaving any sticky residue on the skin, thanks to the melting technology. 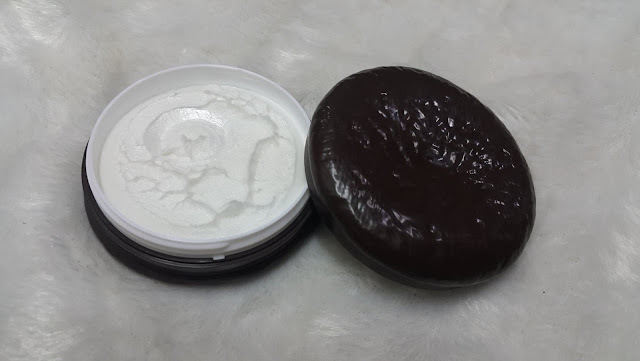 Once you open, you'll gonna see the cute 35ml chocopie-like texture of the holder. Inside, it contains the melted and fluffy marshmallow-like texture of the cream. 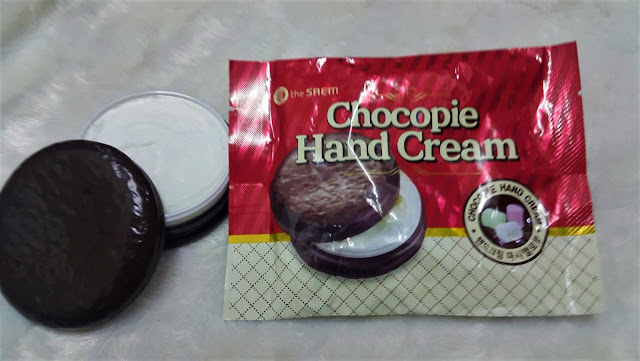 At first, I find the scent weird because it somehow smells like plastic (probably because it was stored in a plastic coating like the same as the usual chocopie packaging). The scent of hand cream is like marshmallow and literally looks like it is melted. At some point, you'll find it a little weird when you first touch it any apply on your hands. 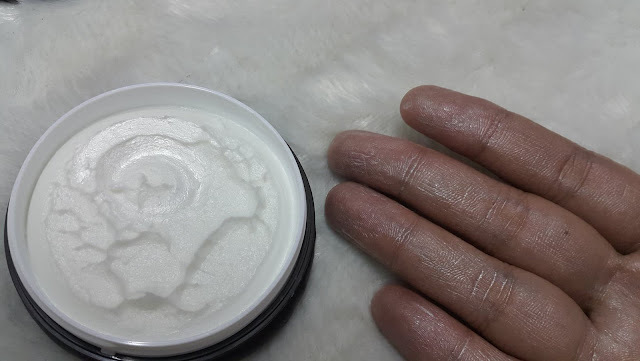 During the first time that I used it, my hand is dry and is starting to peel off some skin so I know that it's also the perfect time to use the product. Once you apply, it's gonna take only about 2-3 minutes for your hands to absorb it. A few small white regiments will remain until it totally absorbs the cream. When it dries up, you'll see some sparkling glitter like shine in your hands. Moisture wise, it helped moisturized my hands fast and the scent lasted for a long time even when you wash your hands. 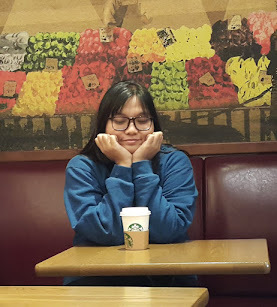 I checked its online price and found some in shoppee but I quite worry if the price there is true. I also found one in amazon ($25) and I still don't have an idea if they sell it on The Saem shop in the Philippines. Update: I found one in Robinsons Place Manila The Saem at 350 pesos each!